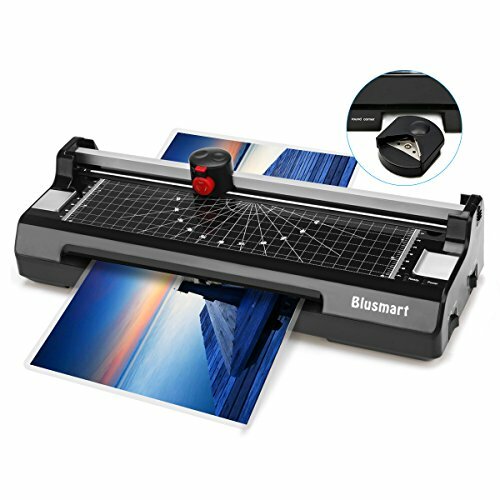 The Blusmart OL288 Laminating Machine is equipped with paper trimmer and corner rounder, making crafting works incredible easy and convenient especially for school and office use. We provide 24/7 customer support and one-year warranty including replacement and refund. If you have any further problems or need any help, please feel free to contact our friendly customer service team via email. We are glad to help. Laminator, corner rounder, rotary trimmer with straight, perforated and wave cutting styles. Hot & cold modes fulfill different needs, use self-adhesive pouches for cold laminating only. Plug in, wait for 3-5min preheating, and enjoy amazing laminating speed of 250mm/min. Laminates in 160mic(2 x 80mic) - 250mic(2 x 125mic) pouches with 230mm throat entry. Comes with 10pcs free laminating pouches and paper jam prevention design. If you have any questions about this product by Blusmart, contact us by completing and submitting the form below. If you are looking for a specif part number, please include it with your message.